Live Streaming Summit, produced in conjunction with Streaming Media West, focuses exclusively on the challenges and opportunities inherent in delivering large-scale live events and live linear channels to multiple screens. The best practices presentations will cover every step of the live video workflow, including ingestion, transcoding, management, protection, distribution, analytics, and post-event evaluation. Whether you’re streaming one-time entertainment, news, sports, gaming, or worship events, or delivering recurring live content, we’ve got you covered. While other events focus on event video production, the Live Streaming Summit takes it to the next level, covering the technologies and strategies required to take that video and deliver it to viewers watching on computers, tablets, mobile phones, set-top boxes, and smart TVs. 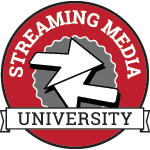 Streaming Media’s Live Streaming Summit is the only U.S. event to address the highest-level issues and opportunities related to live streaming. This is a must-attend show for technical and business decision makers whose jobs depend on delivering successful large-scale live events and live linear channels online. Sponsorship opportunities available. Click here for details. There’s a growing number of options when it comes to live streaming distribution platforms, but each one is different in terms of feature sets, distribution functions, audience reach, monetization opportunities, interactivity, and the factors. We’ll open the Live Streaming Summit with a lively panel discussion that compares and contrasts Facebook Live, YouTube Live, Twitter, Periscope, Twitch, Ustream, Livestream, and other platforms and services in the live streaming domain. This panel will help you understand which platforms and approaches are best suited to particular content genres as well as overall business goals. Content owners behind some of the most innovative live streaming success stories — both live event and live linear — share what they've done, how they've done it, and what you can learn from their experiences. From Periscope and Twitch to YouNow and Facebook Live, “live” has become the newest way to engage an uber-connected audience. But technology is only as good as the content that is broadcast on these social broadcasting networks. Roker Media began in 2016 to channel both technological advances and the creative energy that live streaming has inspired. Using real-time data and award-winning media production chops, Roker Media is the first multi-platform live streaming network and lives at the intersection of brands, influencers, and audiences. Jon Burk and Ronald C. Pruett explain how programming is the “win” for live streaming platforms and why it makes sense to develop destination programs for an always-on generation. Ronald Pruett, Chief Advisor - Al Roker Entertainment & Co.
With increasing demand for high-quality video (4K/Ultra HD) and availability of more capable display devices, both latency and reliability are important factors in live streaming. This case study focuses on a live music event in South America that was streamed on the VDMS Media Ingest platform by Live Media Group (LMG). We discuss the methods employed in providing low latency for ingest, storage, and propagation through the CDN, along with reliability measures adopted by LMG. Karthik Sathyanarayana, Senior Software Engineer, Streaming - Verizon Digital Media Services Inc.
With the distribution of video programming moving to internet protocol, it only makes sense that production do the same. Network Device Interface, or NDI, is an enabling technology for live production IP workflows over Ethernet networks, allowing multiple video systems to identify and communicate with one another over IP and to encode, transmit, and receive many streams of high-quality, low-latency, frame-accurate video and audio in real time. This session covers the “how-to/best practices” basics that will allow attendees to learn about what NDI is, how it’s different from other protocols, and how they can incorporate it into their workflows. LS104 - Will Ka-band, Cellular Bonding, & LEO Satellites Revolutionize Live Streaming? After a brief review of the traditional Ku-band workflow, we discuss the state of technologies enabling video-over-IP contribution. We look at protocols, cellular bonding products, and Ka-band satellite solutions that are available today, as well as future solutions such as Google’s LEO constellation. We examine the business case: Can IP-only cut costs? Does it simplify workflows? Is it mature enough to force the fleet of Ku trucks into retirement? They say that to become a world-class athlete, it's important to visualize success. While size, scope, audiences, and objectives vary, one thing is true of every live event: If it doesn’t reach the audience, it’s a failure. To become world-class at executing live streaming events, nothing is more important than visualizing failure and establishing contingency plans at every step in the delivery chain, from source to encoder, from signal to CDN, all the way to the end user’s viewing platform or device. This session will share insights and experiences gleaned from hundreds of live events and centered on the premise that focusing on the worst possible outcome is the best way to ensure that outcome never becomes a reality. Content will always be king, but without a compelling viewer experience and Quality of Service and Quality of Experience insights, even the best content won’t keep viewers around. A bad user experience can be disastrous, as disgruntled viewers are quick to take to social media to complain about a poor-quality stream or slow start times. This session looks at ways to avoid those pitfalls and to make sure the entire viewing experience—content, stream quality, player, and social media interaction—is top-notch. Content owners behind some of the most innovative live streaming success stories—both live event and live linear—share what they’ve done, how they’ve done it, and what you can learn from their experiences. This session will explore best practices for using live streamed video within a major corporation. For more than two years, Intuit has leveraged Ustream to manage the company's internal video communications across an international workforce. Intuit will share key learnings from live-streaming global conferences, routine business meetings, and investor calls, and Ustream will speak to the complex technology required to deliver successful video solutions at scale. Both speakers will explore the wide array of use cases for live-streaming within the enterprise, and opportunities for innovative applications of streaming technology. Learn the ins and outs, as well as the opportunities and challenges, of producing and streaming live events on Facebook. Get practical tips and best practices on how to make the most out of this new and exciting global broadcast channel including how to maximize audience reach, and the best choices for production. VR/360° video is still in its infancy, but it’s growing fast. It’s a new way of telling stories, and the one thing everyone agrees on is that live streaming is where it’s going to make its biggest mark. This session talks about the opportunities and challenges presented by 360° video, from both technology and content perspectives. Live streaming is growing faster and keeping viewers’ attention longer than VOD, and that growth shows no sign of slowing down. This forward-looking session examines the content types, technologies, and monetization strategies that will lead the way for the next 5–10 years and offers attendees insights into how they can win the live streaming game.